Please view a few of our creations, and consult our pricing list below. Contact us Monday-Friday 8:30-6:00pm or Saturdays 10:00-2:00pm to place your order. We are unable to take cake orders online due to the high level of customization. 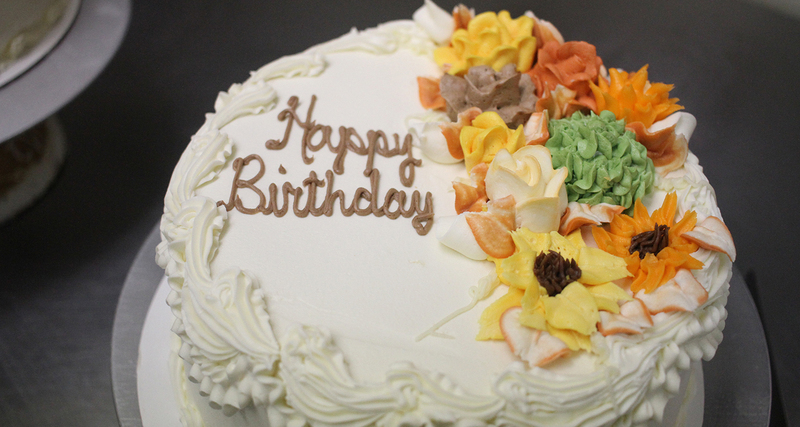 We ask at least 24 hours for custom cake orders and 48-72 hours for Saturday and holiday orders. Decorations are custom designed. Please contact us with your ideas at least 5 business days in advance. Once our staff approves artwork we will call or email with a total. All cakes must be prepaid and cancellations/refunds will only be given with a 48 hour in advance notice. Custom Designed Cakes: No longer offered. Contact us Monday-Friday 8:30-6:00pm or Saturdays 10:00-2:00pm to place your cake order!